Our retaining wall systems are a robust and versatile solution for use as grain store walling. 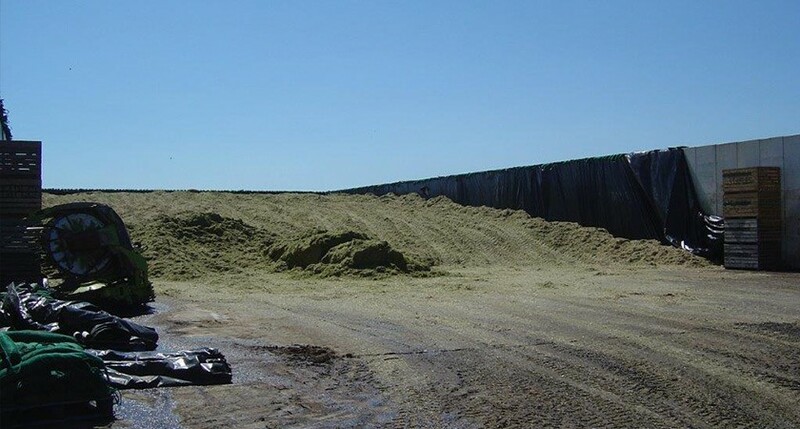 Our range includes concrete products, which can be used to create a permanent structure, and will provide the security and support for the impact of moving and weight of your grain. 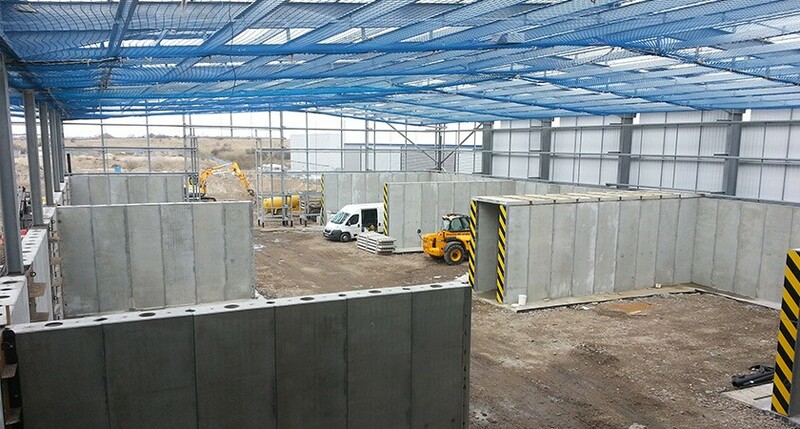 Alternatively, prestressed concrete panels can be used for a purpose-built grain store. 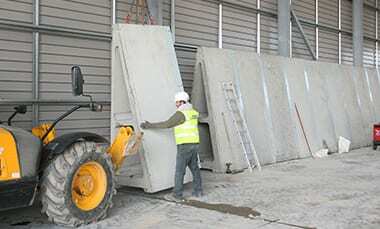 The horizontal concrete panels can be bolted to an existing or new steel frame. 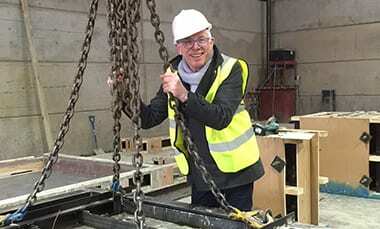 We manufacture panels to most sizes and with a range of thickness. Our interlocking joint design can provide a watertight finish, with sealant, to protect your grain or crop. 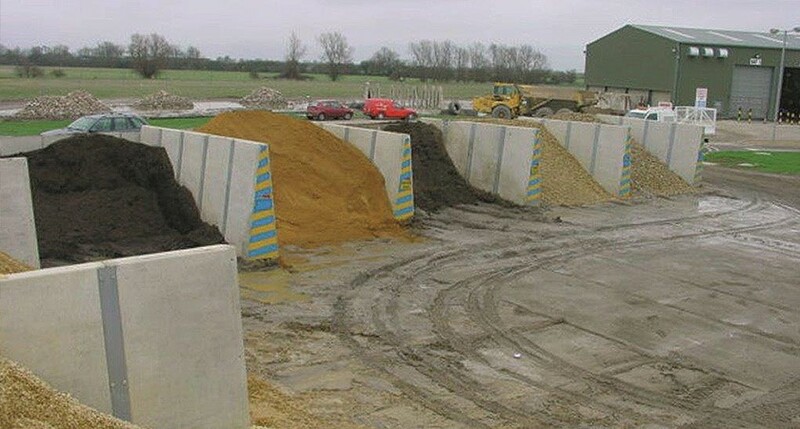 For arable farms where multiple crops are harvested, concrete retaining walls create effective storage bays, preventing cross contamination. Both the Alfabloc® and the Taperbloc™ XL retaining wall systems can be double loaded making them ideal to segregate storage areas. 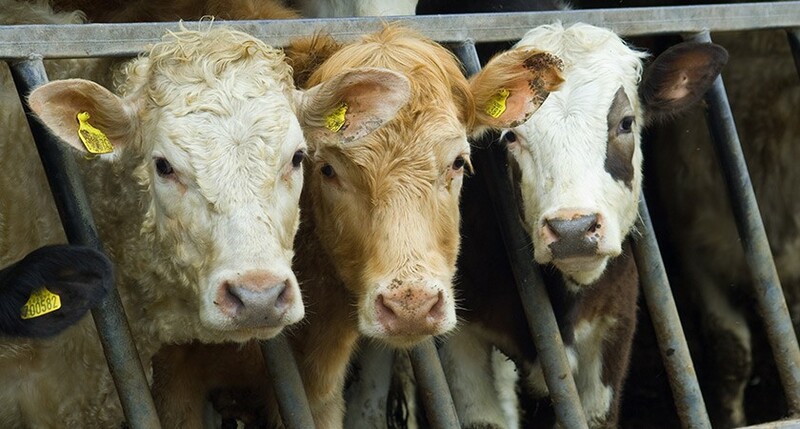 Freestanding in the majority of cases, these systems can be used to create a temporary storage area but give you the flexibility to move or adjust accordingly to the ever-changing needs of a busy farm. 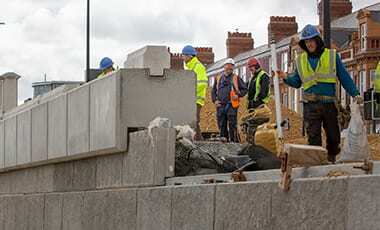 Betaloc® XL is our popular interlocking concrete building block and is another option for creating dividing walls quickly and without ground fixings. Our team of retaining wall specialists can help you maximise your grain storage as well as providing a flexible solution to fit in with your cropping plans, both now and in the future. What are the key areas we will look at in coming up with the best solution for you? How high do you want to be able to store your grain? 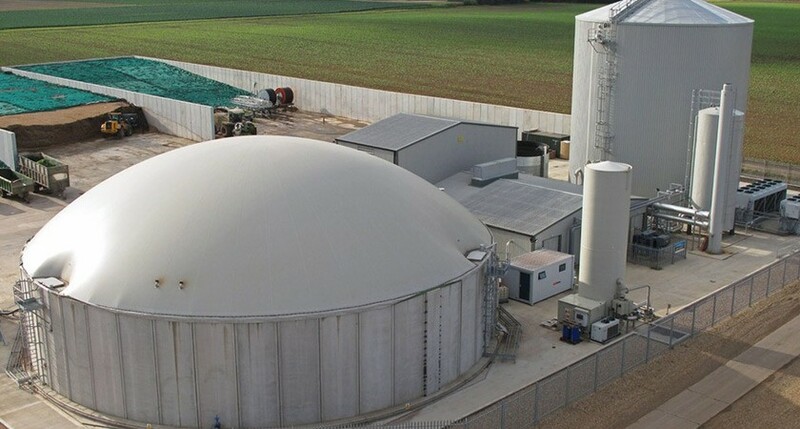 What are you looking to store (grain, silage, muck, material for anaerobic digesters etc)? How will the store be loaded and emptied? Will it be level filled, or will it peak in the middle? Do you want to be able to store produce on both sides of the walling? What is the floor or base like on which the walls will sit? Do you want the freedom to be able to reconfigure the walls at a later date? The team at Poundfield Products can guide you throughout the whole project. Depending on the size and location of the project, we will carry out a free site survey for you where we will go through all of the points above in order to come up with the best option for your own particular requirements. We handle everything from the initial design plan through to installation and aftercare. We have a wide product range and so are bound to have a solution that will work.